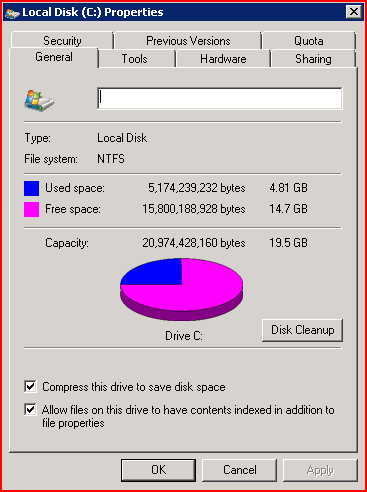 If you are ever wondering how much space a clean install of Windows 7 takes, it is 4.81 GB without the pagefile. It is certainly a lot less than the size of the clean install for Windows Vista, which is 12-16 GB. This makes Windows 7 superior to Windows Vista because it is not only smaller but also faster. It’s nice of you to post the size of a clean install of Windows 7, however, not everyone compresses their drive as it slows down the OS. So your estimation of 4.8GB without the page file size is a bit off. Troy, would You mind terribly; informing us of the *Actual* Clean Install size of Windows7? Otherwise, I’m going to be left; believing that it’s under 5GB. To Me; being a Puppy Linux Fan, (www.puppylinux.org) it just makes sense; to make the size small enough; to run the whole lot, from RAM. between Booting up, and Shutting Down.